The FAFSA is a lengthy form, and somewhat complicated. Be sure to read the instructions before completing the form. Most questions about the FAFSA can be answered just by reading the instructions carefully. You will need the Title IV Institution Code for each school to which you are applying in order to complete the FAFSA. You can get this code from the school, or you can use FinAid's Title IV School Code Database. If you have any questions about completing the FAFSA or federal student assistance programs, call the Federal Student Aid Information Center at 1-800-4-FED-AID (1-800-433-3243, TDD 1-800-730-8913) from 9:00 am to 8:00 pm Eastern Standard Time, Monday through Friday. The US Department of Education publishes a collection of answers to frequently asked questions about the FAFSA form atCompleting the FAFSA. The National Association of Student Financial Aid Administrators (NASFAA) cosponsors College Goal Sunday. College Goal Sunday provides free professional help completing the FAFSA at workshops held at locations throughout the nation. Make a copy of the completed FAFSA before mailing it. Keep it in a safe place with copies of all the records you used to complete the form. Not only will this be useful as a reference for subsequent years, but it may also be required for a process called verification. In addition to comparing the information on your FAFSA with data from the Social Security Administration, Veterans Administration, and Internal Revenue Service, the US Department of Education also selects about one-third of all FAFSAs for verification. If your FAFSA is selected for verification, the school will ask you for a copy of all the documentation you used to fill out the FAFSA. When you mail your FAFSA, get a certificate of mailing from the post office to prove that you mailed it. (You do not need to send your FAFSA or PROFILE by certified or express mail.) If your FAFSA gets lost, the certificate of mailing will help establish the date you submitted the FAFSA, verifying that you sent it before the deadline. If you use FAFSA on the Web, be sure to print out the signature page, sign it, and mail it. In your rush to submit your application, don't forget to finish the online process. If you don't reach a page that says your FAFSA has been submitted, no data has been sent to the federal processor. If your parent cannot sign the FAFSA because he or she is not currently in the United States and cannot be contacted through normal means, his or her current address is not known, or he or she has been determined by a licensed medical practitioner to be physically or mentally incapable of providing a signature, your high school counselor, principal, or a college financial aid administrator may sign the form in place of your parent. They do not assume any responsibility or liability in this process. They should write their title next to their signature and briefly indicate the reason why they signed for the parent. If you submitted a paper FAFSA and want to include more than four colleges, wait until you receive your Student Aid Report (SAR). 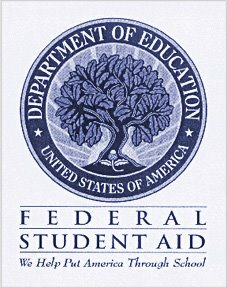 After you receive the SAR you can go online to fafsa.ed.gov to change the list of schools, since they will have received your information at the same time as you received the SAR. Or you could submit the FAFSA online initially, since the online FAFSA allows applicants to list up to ten colleges.